Guinea is possibly one of the richest countries in the world, that is, if its wealth was measured by mineral resources. Guinea is home to two thirds of the world’s reserves of high grade Bauxite (aluminum ore), and also has large reserves of gold, diamonds and iron ore. According to the 2013 OEC report, exports of aluminum ore were US$748m. Other significant exports include crude petroleum, frozen fish, gold, petroleum gas, refined petroleum, rice, rubber footwear, motorcycles and packages medicaments. Unfortunately, its people do not benefit from the opportunities these resources provide; the population is one of the poorest in the world with the majority of people leading lives below the poverty line. With a population of over 12 million, the World Bank reports that the gross net income is just US$480 per year. Economic indicators such as the Index of Economic Freedom 2016 rate Guinea poorly and it was ranked 136th globally and 30th in Sub-Saharan Africa. Tension between the two main groups, the Peul ethnic group (40%) and the Malinke ethnic Group (35%) is cited as being the major hurdle in the economic stability and growth. Alpha Conde is the president of Guinea and came into power in 2010 after many years of imprisonment and political struggle. He was reelected amidst much political turmoil and accusations of corruption in 2015 for a second term. The president is from the Malinke ethnic group and is often accused of siding with this group and sidelining members from the Peul group. The Ebola virus hit Guinea in 2014 and had a devastating effect on both the health system and the economy. On top of this, there are approximately 6,000 refugees from surrounding war torn countries that add to the pressure on the economy. Healy Consultants Group PLC have been incorporating in Guinea and Sub-Saharan Africa for 10+ years and are happy to help you with any queries you may have on starting a business here or investigating the feasibility of a business. We provide all the ancillary services to business set-up including registration, obtaining business licenses, bank account opening services and much more. Contact us at email@healyconsultants.com. 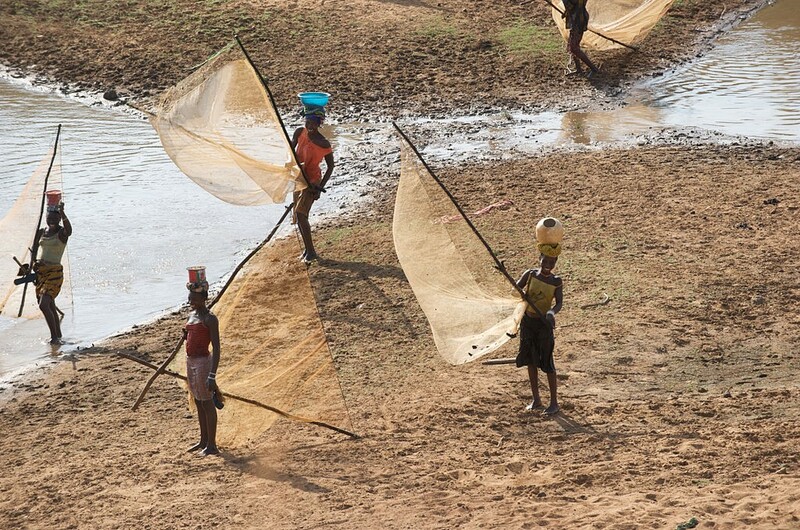 Image attribution: Fisher women on River Niger in Guinea under Creative Commons Attribution license (reuse allowed).